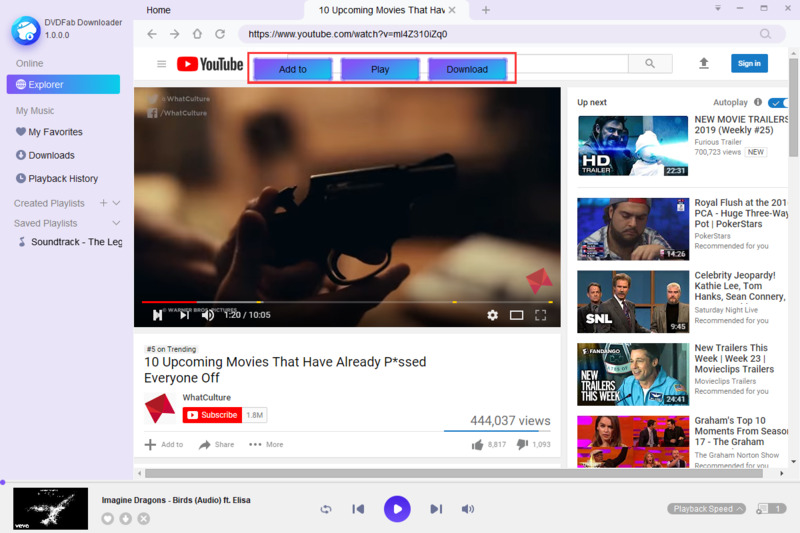 DVDFab YouTube to MP3 is a Handy and Must-Have Assistant to Music Fans that allows users to download and convert YouTube videos to high quality MP3 tracks to enjoy on any device anytime and anywhere. By default, this YouTube to MP3 converter software can process one download thread at a time. This means, even you've pasted several URLs each containing one video or a playlist, only one task can be processed, with others waiting in the queue. Publisher Name Fengtao Software Inc.